As we recently reported in our latest podcast episode, Apple announced a device they call the iPad Pro. As we also discussed, it was hardly an innovative or exciting; instead of bringing any level of the flare Apple is known for, we were left to settle with a Surface RT knock-off. As you might imagine, this is not a position Apple would want to stay in for very long. The real problem Apple faces is the iPad’s overall success. By effectively nailing every other issue that had plagued tablet computers in the past, Apple effectively put themselves on a very short roadmap for the product. The only way to move forward at this point is for the way people use it to evolve. Ironically (though not too surprisingly), Apple’s answer may rest in Microsoft’s past. 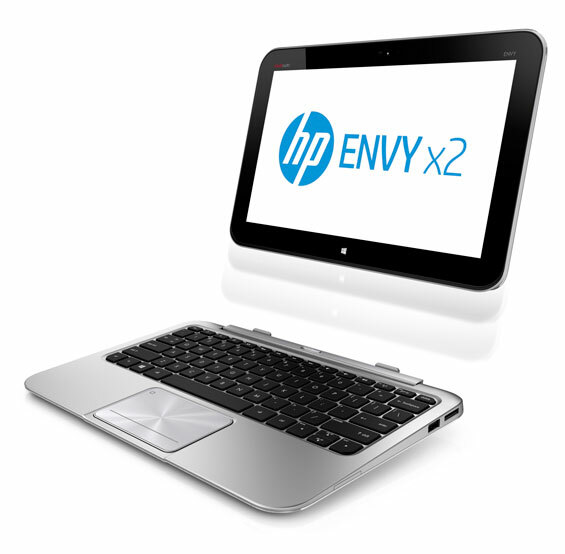 Behold, the HP Envy x2! The finest (not really) 2012 had to offer. The main system was carried in the 11″ screen, but when it was docked into the keyboard, you gained USB, HDMI, and an additional battery. Rumors are that HP had also hoped to put additional storage into the base, but it just didn’t make it into the final product. To understand why these convertible tablets that Microsoft has been trying to market for years are different than a possible Apple convertible iPad, you first have to realize something about how Microsoft thinks: Why would you carry something like a tablet when you could be carrying a full computer? Keep in mind that this is the company that has been trying to put a full powered PC in our hands since 2002 with little luck. Even today’s Windows 10 convertibles, while far more usable than their Windows XP ancestors, aren’t much more than an anemic PC paired to a removable keyboard. Android faces this problem as well, as was demonstrated by the ambitious Motorola Atrix. Attempts by companies like Lenovo to create an Android tablet paired to a Windows PC have also failed. But where Microsoft has always tried to give us a full PC experience on a mobile device, Apple has always understood that iOS never had to be a full blown OSX installation, just so long as the device was still usable! Combine that with the natural interoperability between iOS and OSX (while iOS isn’t fully compatible with OSX, it does still share its Core and Darwin Foundation with it) and you have a convertible MacBook just waiting to happen. You are working at your MacBook iPro (or whatever it’s called), finishing up your presentation on your full blown Adobe Premier Pro, while also double-checking the PowerPoint presentation in Office 2016. It’s time for your meeting, so you undock the screen and it becomes an iPad with the same familiar interface as always. The video you just produced on a full blown PC at your desk is now presented on the iPad’s video player and you can wirelessly cast the PowerPoint to the projector for the room to see. Someone has some critiques for the video, so you take those notes down on your iPad. The meeting is over and you get back to your desk. Your iPad slides right back into its base and it is once again a full OSX machine. Your notes are there and fully accessible to your desktop apps. The day is over, so you close it up and head home. “It will be too heavy with two batteries!” – This is Apple we’re talking about here. 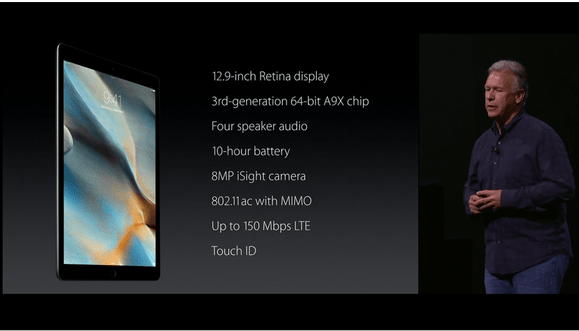 The iPad is already super light and the MacBook Air is equally so. This is a moot issue. “It will be too expensive!” – Again, this is Apple we’re talking about. You’ll buy it and you know it. “Who would want a 12.9″ laptop screen to work on?” – Don’t you already use a 11″ MacBook Air and a 13″ MacBook? Is this really such concern? “It would be too complicated.” – Actually, no it wouldn’t be. This would be a real difficulty for any other system EXCEPT OSX/iOS. The iPad would simply need to know to hand off its screen to the laptop base when it is plugged in. Leading to . . .
“There is no way to have so much info transferred between the machines so smoothly!” – Isn’t that what the Lightning/Thunderbolt connector is for in the first place? I’m fairly certain that using Apple’s existing technology to push power, video, and read the onboard storage isn’t just possible . . . it’s actually already done across Apple’s ecosystem! So, the next move is yours, Apple. In 2 or so years, when you come out with this and market it as innovative and amazing, I’m sure I’ll have some new ideas for you. In the meantime, please stop giving us the same old stuff and calling it “new”.